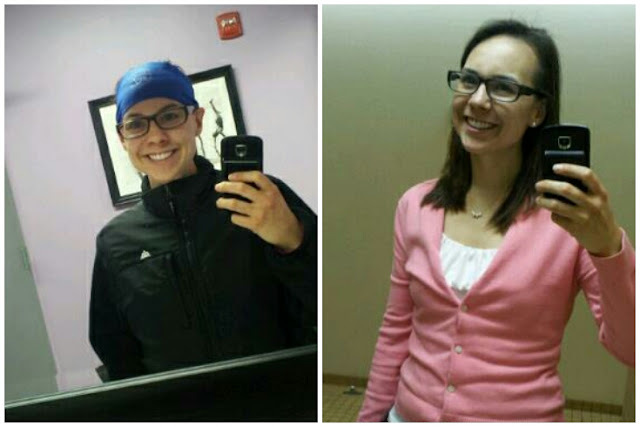 I started wearing glasses my freshman year of high school, but didn't need them full time until college. I've worn a bunch of different types and styles of glasses, switching over to contacts later in college. I return time and again to plastic glasses because they're more comfortable on my face and are great for early morning workouts. It's hard enough for me to get out of my warm and cozy bed when it's dark outside, so I don't really want to poke myself in the eye to put in my contact lenses at the crack of dawn. 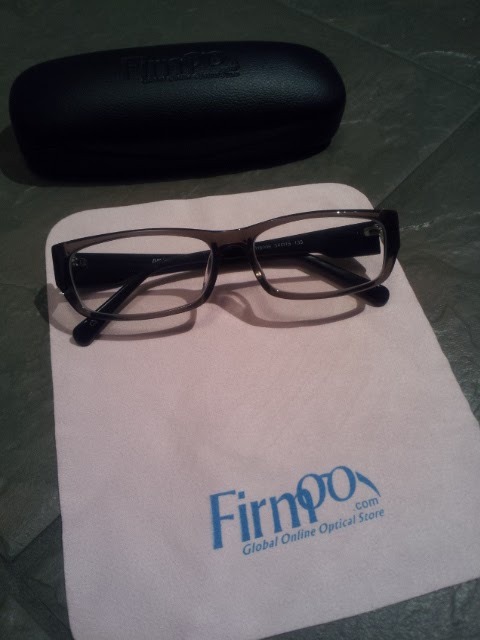 I was contacted by Firmoo.com a few weeks ago about their free glasses program. Free is my favorite price point, so I figured what the hell? I went online and quickly selected a pair that caught my eye (pun intended), then completed my order easily enough. You can try on the glasses online using an uploaded photo of yourself. All you need for prescription glasses is your prescription (if you wear contacts, it's on the box) and your pupilary distance. Done! Anyhow, I immediately noticed when I tried on the glasses how comfortable the glasses are and how well they fit me. With some plastic frames, they're too big for my head and slide around, especially when I workout. So to make sure these will pass the ultimate test, I wore them to CrossFit this morning. There was plenty of running and jumping, and even some ring push ups. 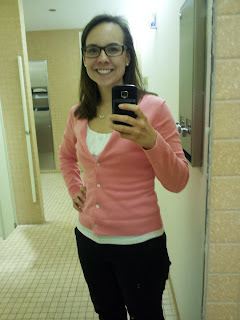 The glasses did not budge, which made me smile. To ensure my glasses fit all aspects of my life, I wore them to work today, too. The prescription was definitely correct as I wore them all day without headaches or issues. I'm still wearing the 'specs as I'm typing this, so I am a fan. I'll wear these regularly, too. What's great about this Web site is that anyone can get a free pair of glasses to give it a try. Even if you don't need glasses, it's fun to give something new a try. How often do you get new glasses? I have four pairs that I rotate through depending on my outfit. I hate hate hate putting in contacts first thing in the morning. It kind of hurts. Are your glasses and contacts prescriptions the same? Mine are a little bit different, because I have astigmatism in my left eye, they had to round off for my contacts prescription for that eye. I should check if my right eye is the same though. Mine happen to be the same. They also haven't changed in a few years, which is nice. Maybe one day I'll get that laser surgery. I just ordered a pair from Warby Parker, a company that is more expensive that Firmoo, but no where near what it'd cost at a regular shop. I think I'll check Firmoo out and get a free pair. It's be nice to have a few different options when I want to wear glasses. Now that I have a few pairs (and they were all very inexpensive), I leave a set in my car just in case I need it. At night, I sometimes want to ditch my contacts when driving home.